Also serving communities of Sheboygan Falls. There are 9 Assisted Living Facilities in the Sheboygan area, with 6 in Sheboygan and 3 nearby. The average cost of assisted living in Sheboygan is $3,700 per month. This is higher than the national median of $3,346. Cheaper nearby regions include New Holstein with an average starting cost of $3,500. To help you with your search, browse the 15 reviews below for assisted living facilities in Sheboygan. On average, consumers rate assisted living in Sheboygan 4.5 out of 5 stars. Better rated regions include Howards Grove with an average rating of 5.0 out of 5 stars. Caring.com has helped thousands of families find high-quality senior care. To speak with one of our Family Advisors about assisted living options and costs in Sheboygan, call (855) 863-8283. Sheboygan, Wisconsin is located 50 miles north of Milwaukee and is bordered on the east by Lake Michigan. Within the city of Shebogyan, senior citizens make up 15.2 percent of the population. There are 25 assisted living facilities in the Sheboygan area to accommodate that population, with six directly within Sheboygan and 19 nearby. 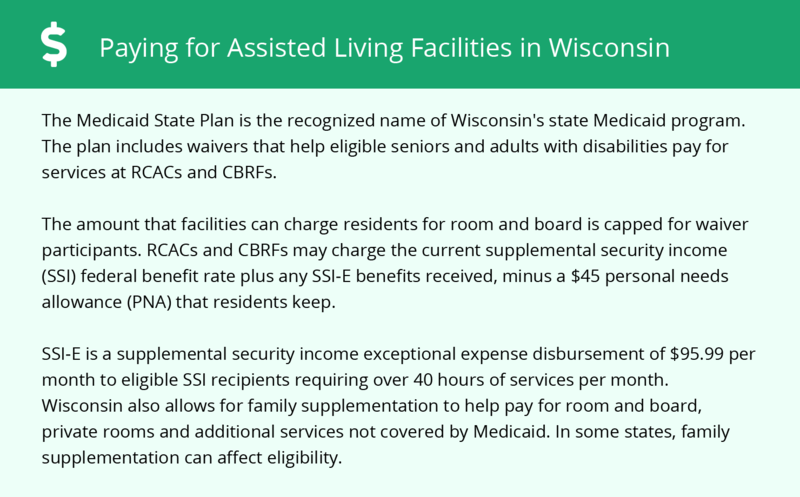 The Wisconsin Department of Health Services licenses and regulates four types of assisted living facilities (ALF) and programs throughout the state: adult day care, adult family homes, community-based residential facilities and residential care apartment complexes. Sheboygan is a member of the AARP Network of Age-Friendly Communities, meaning that its elected leadership “has made the commitment to actively work toward making their town, city or county a great place for people of all ages,” according to AARP. Shorline Metro provides public bus transit throughout the city of Sheboygan. Seniors over 65 years of age or individuals with a disability are eligible for the half-fare rates. If seniors are looking to travel to either Green Bay or Milwaukee, citizens can choose between taking Jefferson Lines or Indian Trails. The Sheboygan area is home to world-class medical facilities, including Aurora Sheboygan Memorial Medical Center and St. Nicholas Hospital, in the event of medical emergencies or illness. Seniors seeking to spend less on assisted living could consider Sheboygan. Cost of living in Sheboygan is approximately 12 percent cheaper than the average cost of living in the state of Wisconsin and 16 percent cheaper than the national mean. Seniors living in Sheboygan have a 1 in 41 chance of becoming a victim of either violent or property crime. In other words, Sheboygan has a crime rate that is higher than 84 percent of the rest of Wisconsin's cities. Average temperatures in Sheboygan range from the 70s in the summer to 20s in the winter. Because it is partly cloudy almost all year in Sheboygan, seniors should determine how important sunny weather when contemplating this area. Assisted Living costs in Sheboygan start around $3,700 per month on average, while the nationwide average cost of assisted living is $4,000 per month, according to the latest figures from Genworth’s Cost of Care Survey. It’s important to note that assisted living rates in Sheboygan and the surrounding suburbs can vary widely based on factors such as location, the level of care needed, apartment size and the types of amenities offered at each community. 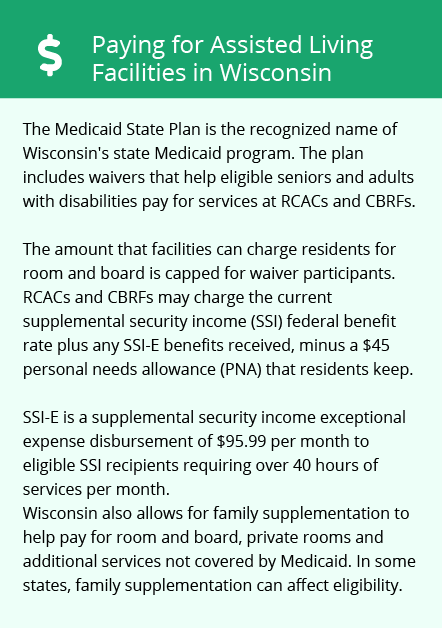 In the state of Wisconsin, eligible seniors can receive additional Social Security income to help pay for assisted living through the Exceptional Expense Supplement for Members of Supplemental Security Income (SSI) program. Seniors can also receive financial aid through Medicaid's Medical Assistance Personal Care program when residing in an ALF with less than 20 residents. To see a list of free assisted living resources in Sheboygan, please visit our Assisted Living in Wisconsin page. Sheboygan-area assisted living communities must adhere to the comprehensive set of state laws and regulations that all assisted living communities in Wisconsin are required to follow. Visit our Assisted Living in Wisconsin page for more information about these laws.